I don’t know what made me go outside today. I promised myself that I was going to stay away from the nest. After all, I had just visited the babies yesterday. I had the chance to see the wonder of nature when I thought they would already be long gone. But something drew me to the front porch as the evening sun threw long shadows across my front yard and warmed my house. I was struck first by just how quiet it was. 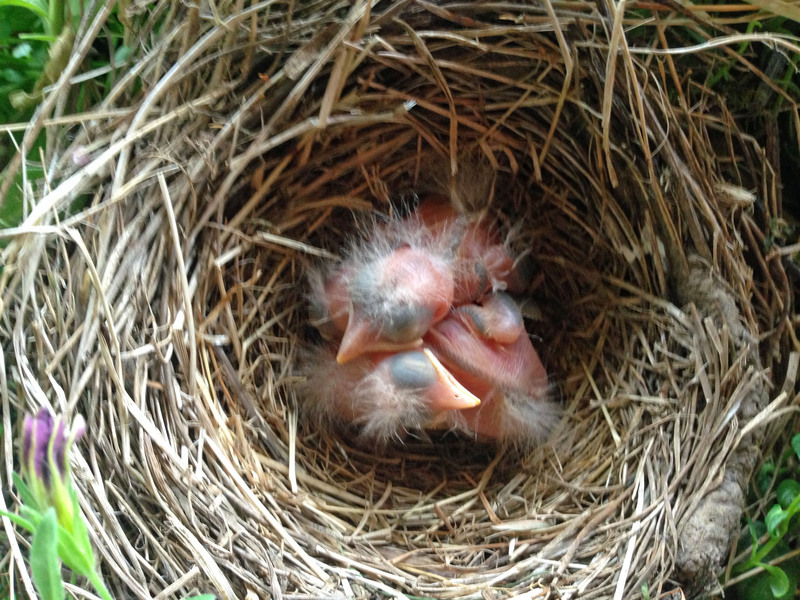 No longer did I hear the sweet, soft chirps of hatchlings begging their mother to return with their next meal. No longer did I hear the warning squawks of a momma bird, pissed that I dared come close to her brood. I was met with only the gentle sound of the wind blowing through the rafters of my porch. Before I even rounded the corner, I knew what I would find. The nest would be empty. The trio of hatchlings would be gone. After all, the day was perfect for an initial flight. It was the first warm day after more than a week of pounding rain and wind. I can’t say I was sad. I knew this was coming. 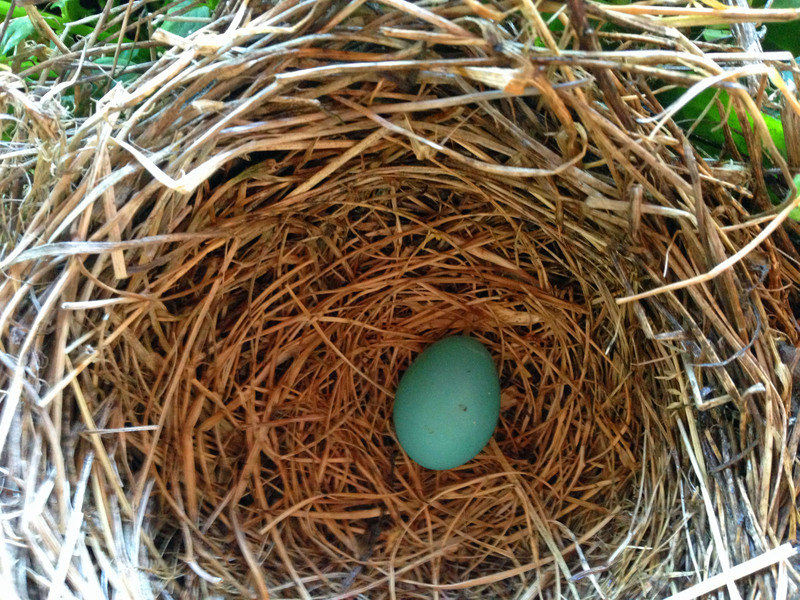 Leaving the nest is part of life. 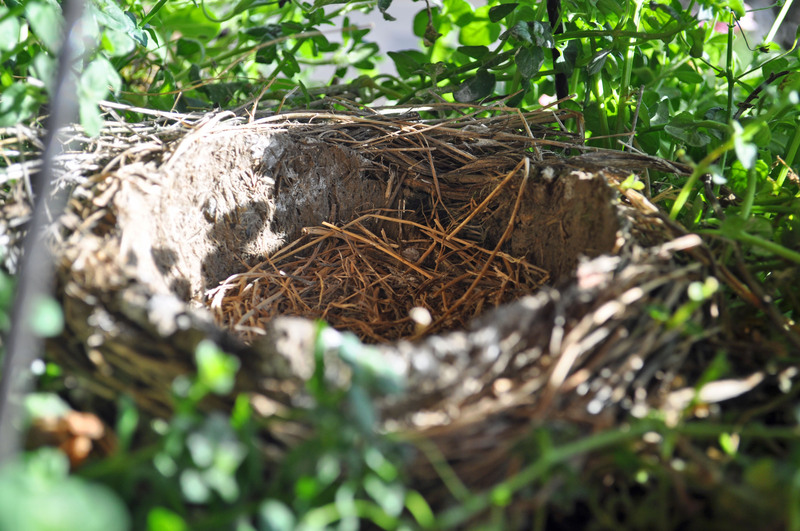 If you’re not growing and spreading your wings, you’re stagnating and dying, so finding the empty nest would be the best thing I could hope for. But before I dared look up, I first looked down. I wanted to make sure I wasn’t going to find any foundering baby birds in the bark. 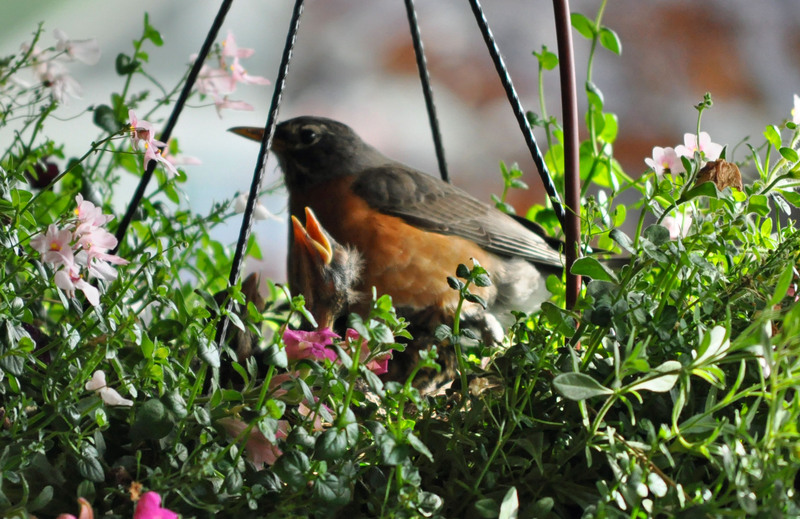 To my joy, I found the ground beneath the planter to be free from even a feather, meaning that each one managed to take flight without too much of an issue. When I finally looked up, I found the nest to be quiet and still. The birds were gone. All of them. Momma, daddy and three little babies. As I climbed a ladder to take a closer look, a stray robin flew to the tree right in front of the porch. It chirped at me and flew off again. I can’t sure if it was one of the parents or one of the babies, but I am sure it was one of my little front porch family. 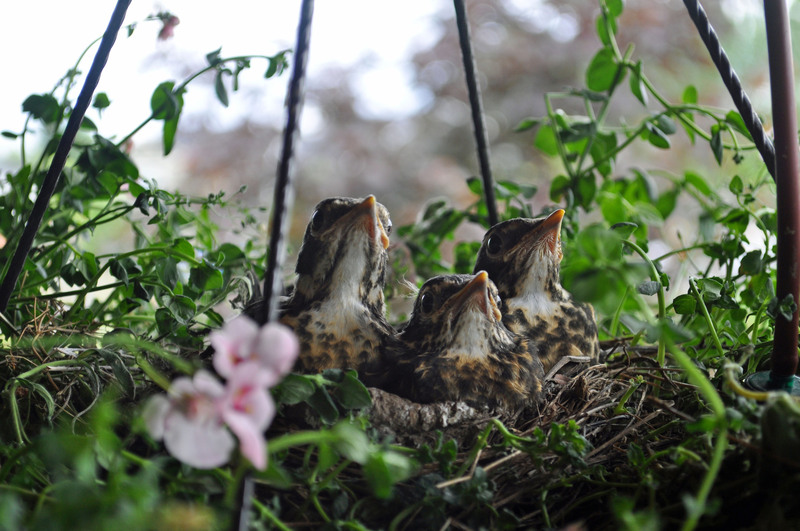 I am also sure that, while I was concerned that the birds would leave the nest before I returned from my five-day trip, they stuck around so that I could see them one last time before they headed off into their bright futures. A terrific series of shots……it IS sad when they leave, but also great to see them thrive….